Indian/Asian Seasonings Gift Pack. This gift package is all the best of India's cuisine. Salt free and freshly dried herbs and spices that you will love. I did extensive research on these ingredients to make an easy authentic meal. 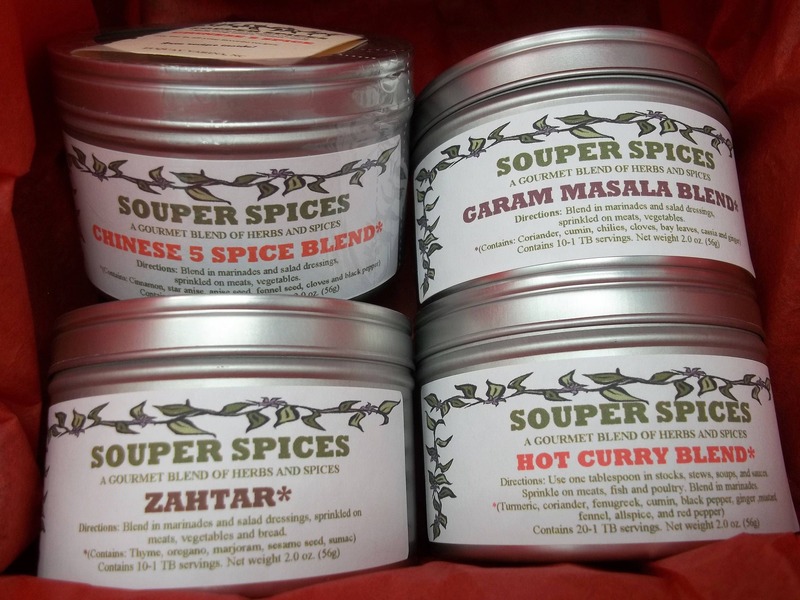 All you need for a perfect curry, side dish or additions! My daughter, Kim, and son-in-law (whom is British) always took us to Bucks Balti for Indian cuisine every time we visited them in Aylesbury, Bucks, England. Everyone loves it! You get 1/2 pound of one hundred percent natural herbs and spices for your "Balti" or dish. The aromas are amazing and the spice is nice! Chinese 5 Spice 2 oz. Place the chicken pieces in a large dish or plastic bag. Mix the remaining ingredients and pour over the chicken. Marinate refrigerated overnight or for 1 to 2 hours if time is short. Transfer the chicken to a baking dish and brush with the marinade. Cook uncovered in a preheated 350F (180C) oven, brushing once or twice with the marinade, until the chicken is done, about one hour. Preheat the oven to 350°. Combine the crumbled feta , red pepper paste, tomato paste, all the spices, and olive oil. Knead with your hands to blend them well to form a smooth paste. Set aside. Grease a baking tray with 1 tbsp. olive oil and spread the dough as a thin flat bread base, reaching all the edges. Spread the topping evenly over the flat bread and let rise for 30 minutes. Once the dough's risen, bake in the preheated oven 350° for 18 – 20 minutes. Let the baked flat bread with spicy feta cheese topping, to cool down for 15 minutes. Sauté the onions, garlic, carrots and broccoli in oil with a pinch each salt and pepper and stir. Cook stirring frequently, until softened – about 5 minutes. Add Souper Spices Garam Masala Blend, cayenne, veggie stock, coconut milk, another healthy pinch of salt and stir. Bring to a simmer then reduce heat slightly and continue cooking for 10-15 minutes. Add the snow peas and tomatoes in the last 5 minutes so they don’t overcook. Taste and adjust seasonings as needed. Serve over rice. Bring a saucepan of salted water to boil, add the potatoes and simmer until just tender. Drain well. Heat the oil in a large frying pan then add the garlic. Add the Garam Masala spices and the potatoes and stir fry over a medium heat for about 5-10 minutes until heated through and well coated with the spiced oil. Season well and sprinkle with the lemon juice. Garnish with chopped coriander and serve. This item came super fast and exactly as described. Super tasty, especially the 5-spice!